One of the traditions we had as a family is to go out and celebrate Christmas somewhere nice. We have been doing this since we were kids–and back then, it was a simple dinner to fast food joints, a quick round of games to Timezone and then we go home. Somehow, the simple budget my parents had back then was enough to make us kids very happy every single time. 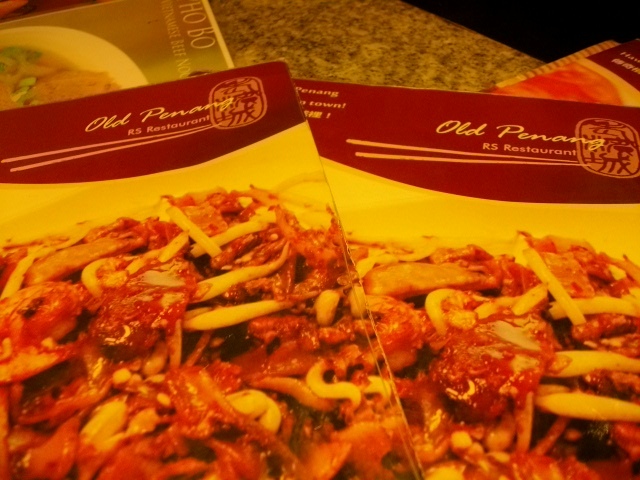 Anyway, after searching the net and reading favorable reviews, the unnie and I decided on The Old Penang Hill –oh, boy…we should have gone to McDo instead and maybe had a good Christmas dinner instead of the crappiest dinner experience of my entire life. You have to know one thing about Penang Hill, the food is not cheap…majority are priced at PHP200plus and they have minuscule servings…as in MINUSCULE. We wouldn’t have mind paying premium price for good food, but it’s not exactly what we experienced. It’s the complete effing opposite. We ordered quite a lot–excited on the prospect of eating “somewhere nice”, as one journalist put it but when 20 minutes after we’ve ordered and the drinks (which is not so complicated really) wasn’t yet served, we knew that we are in for a horrible dinner service. After another 10 minutes, 4 glasses of complimentary water was served (we were six), 5 pairs of forks and spoons were placed in the table and 4 plates. 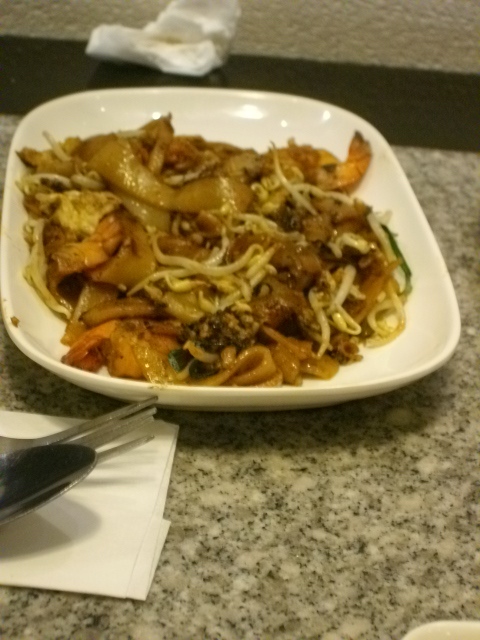 The char kway teow arrived, which was not even steaming hot (if it was freshly-cooked) and tasted like it was burnt. Never mind that the pictures in the menu looked like the serving was good to share, but it was so few that it made miss my Lucky Me noodles. 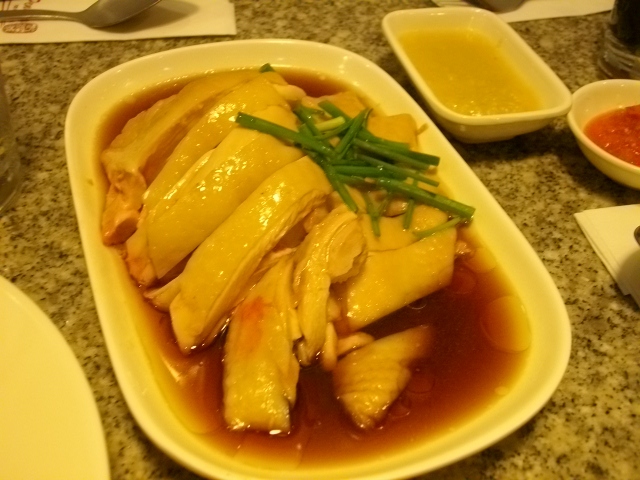 Then the famed hainanese chicken rice was served and yes, it tasted good yet the problem was that it was as cold as a cat’s nose when served to us–expecting a steaming bowl of rice. 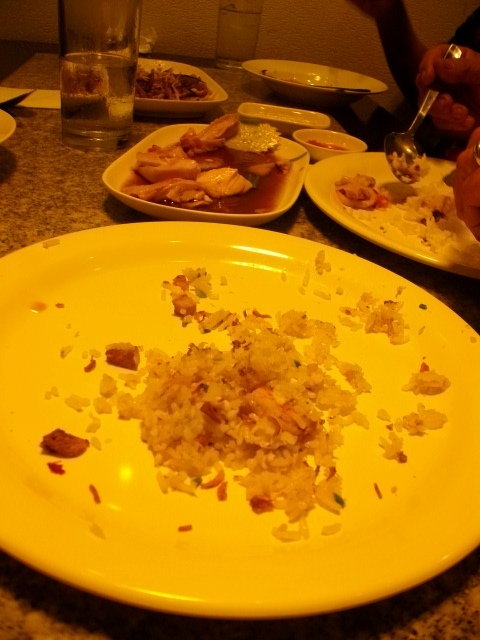 It came with a complimentary plate of rice which looked like it was haphazardly placed on the plate. We asked for two more plates and oh, another pairs of cutlery please…and oh, yes our drinks please. The servers just nodded then left. Still no drinks. Note that we were six people sharing four glasses of water. I had to ask The Hubby to invite my dad to smoke cos my dad was starting to get pissed at that point. Did the drinks arrived? Nope. What about the additional cutlery, plate and complimentary water? No dice. At this point, I was already pissed. Plus, I lost my mood for a happy Christmas dinner. Here’s the thing: I really don’t mind spending my hard-earned bucks if its worth it. But with what happened, we should have our dinner at McDo! At least we would have our fun, our Christmas dinner wouldn’t be ruined and I wouldn’t be hungry. And yes, if you are interested to know–45 minutes into dinner and without even a single drink in sight, I decided t0 cancel the rest of the order, paid for what was served to us and just leave. What makes me annoyed more than anything is the crappy service we got, which made my parents really annoyed. You see, we were not born rich, so we tend to make a big deal out of splurges and things like these–cos this would have made our parents happy. 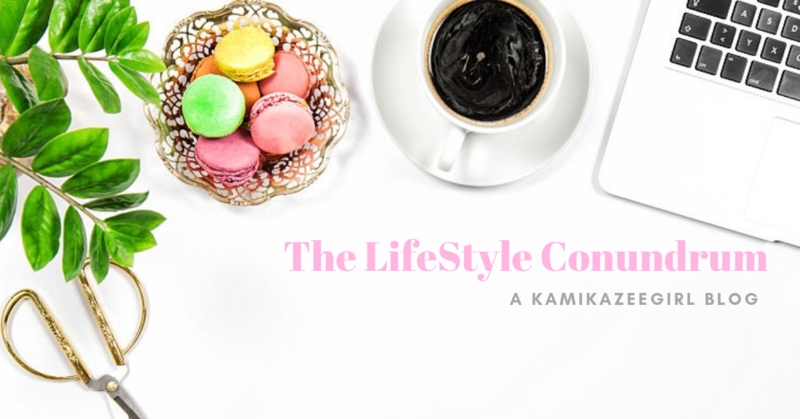 For those born with a silver spoon in their mouth, it may not be a big deal to afford nice clothes and to eat at nice restaurants–but for us who works hard for the money, it really is. It was an opportunity for my parents to see that the investment they made to make sure we get good education (thus leading to great jobs and a comfortable life) was not for naught. But instead, what we got is my dad pissed and hungry, and the baby brother wanting to get home cos we were served crappy food and given crappy service. It’s not a big deal for some (as in: “pshew, a crappy dinner. so effing what”) But it is a rare time for us to take our parents somewhere nice. Cos they deserve it. What they don’t deserve is to sit in an awful dinner service and share glasses of complimentary water with their children. Previous PostGuess who’s at the Darren Criss show last night…Next PostSo, what did ya get?